Our concert includes three composers, Mozart, Schubert and Mendelssohn who composed beautiful music while in their teens. Mendelssohn – String Symphony #3 in E Minor. 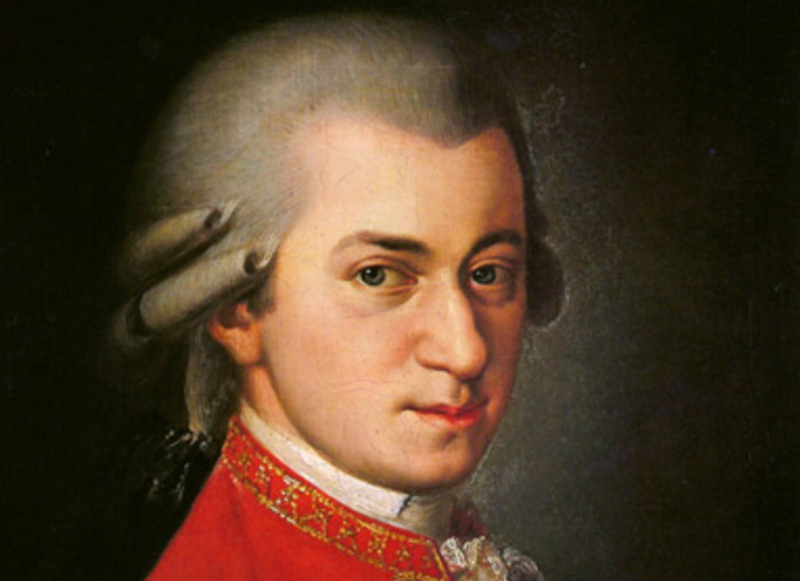 Mozart was widely recognized as one of the greatest composers in the history of Western music. Considered a child prodigy, he began composing and playing intricate and celebrated compositions at a very young age. Although you are looking at the face of a genius, what you don’t see is a very funny person. There was another side to Mozart – he had an incredibly bawdy sense of humor with a penchant for remarkably childish behavior! He also loved his mother, his animals (a fox terrier and a starling,) and billiards!